The Cybex 45 Degree Back Extension complements the entire range of Cybex strength products. The sleek design seamlessly integrates the product into your facility’s environment and provides the Cybex brand identity to your members value in strength equipment. An effective training option every gym needs. Cybex 45 Degree Back Extension looks good and is constructed for ease of use. The Cybex 45 Degree Back Extension share the same design elements as Cybex Selectorized and Cybex Plate Loaded equipment for the ultimate in a well-designed gym. 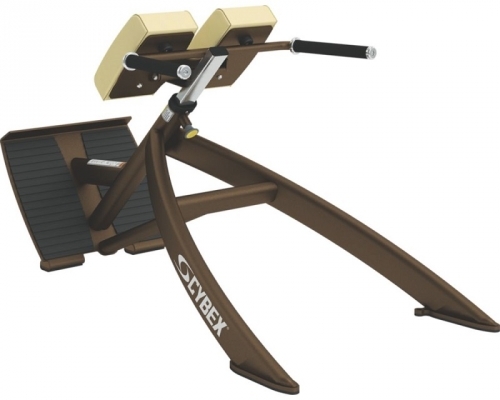 Dimensions (L x W x H) : 58" x 30" x 32"
Order your Cybex 45 Degree Back Extension from FitnessZone.com today!